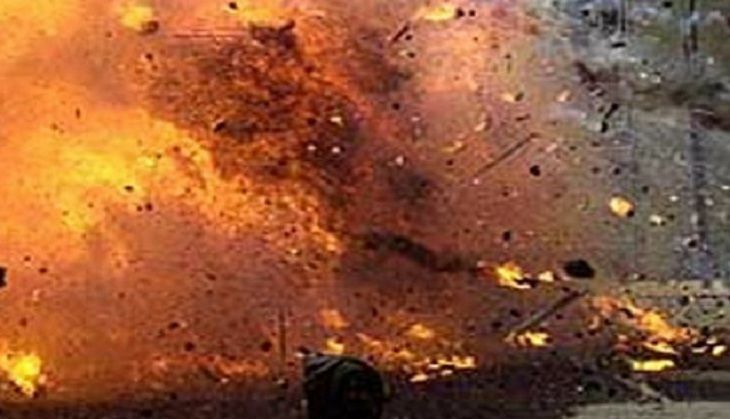 A crude bomb blast in Jainpur village of Malda district, West Bengal, on 1 May, claimed the lives of at least east four individuals, leaving three others injured. The blast took place last at around 11:30 pm, yesterday night. The injured were rushed to a nearby hospital. The deceased are reportedly Trinamool Congress (TMC) workers. It has been alleged that the deaths occurred while they making crude bombs, allegations have also been floating around that the TMC workers were attacked by goons belonging to the Congress party. Meanwhile, the police have begun the investigation to ascertain the identity of the perpetrators. Earlier, on Saturday, a voter turnout of 78.25 per cent marked the fifth and penultimate phase of Assembly polls in West Bengal. By the end of polling on Saturday, 186 people were arrested in incidents of electoral malpractice and sporadic violence that left at least 15 injured. Results of West Bengal Assembly elections will be out on May 19. READ NEXT >> US Prez Obama drops mic at his final White House Correspondents' Dinner. Literally!